Wood falls in the deep sea have recently become the focus of studies showing their importance as nutrients on the deep-sea floor. In such environments, Crustaceans constitute numerically the second-largest group after Mollusks. Many questions have arisen regarding their trophic role therein. A careful examination of the feeding appendages, gut contents, and gut lining of Munidopsisandamanica caught with wood falls revealed this species as a truly original detritivorous species using wood and the biofilm covering it as two main food sources. 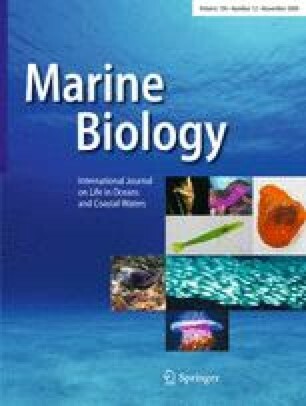 Comparing individuals from other geographic areas from substrates not reported highlights the galatheid crab as specialist of refractory substrates, especially vegetal remains. M.andamanica also exhibits a resident gut microflora consisting of bacteria and fungi possibly involved in the digestion of wood fragments. The results suggest that Crustaceans could be full-fledged actors in the food chains of sunken-wood ecosystems and that feeding habits of some squat lobsters could be different than scavenging. The authors thank the chief scientists of the BOA1 and SantoBOA cruises, S. Samadi and B. Richer de Forges, respectively, and also the captains and crews. SantoBOA was included in the Biodiversity expedition Santo MNHN/PNI/IRD (Co-PI: P. Bouchet, O. Pascal and H. Le Guyader) that was supported by grants from the Total Foundation. The authors also gratefully acknowledge the excellent technical assistance of N. Decloux with transmission and scanning electron microscopy. Thanks are also due to E. Macpherson for the taxonomic determination of the specimens. Thanks also go to the reviewers for providing constructive comments on the manuscript. This work is included in the GDRE-DIWOOD research program (“Diversity, Establishment, and Function of Organisms Associated with Marine Wood Falls”) directed by F. Gaill and was supported by the Belgian Fund for Joint Basic Research (F.R.F.C Belgium, convention no. 2.4594.07.F). Caroline Hoyoux is a PhD student fellow of the F.R.S–F.N.R.S (National Fund for Scientific Research, Belgium).